A new caravan left from a bus stop in Honduras late Monday night. 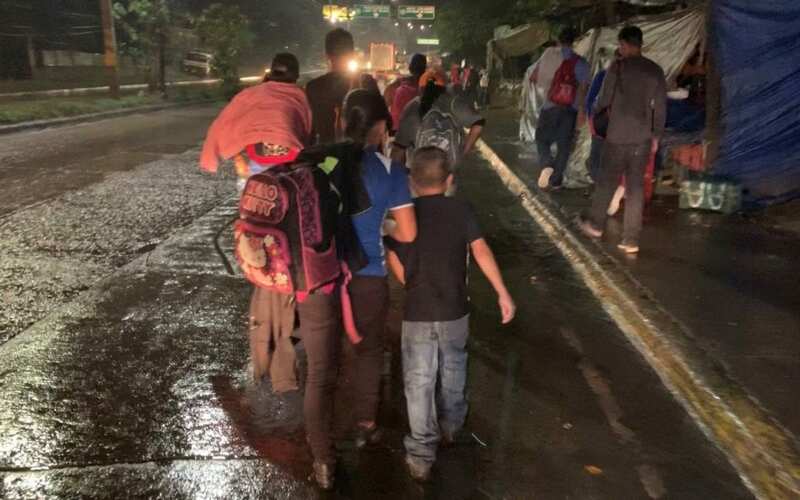 A new caravan of at least 500 migrants late Monday began its perilous journey from a rain-soaked bus station in Honduras to the United States border, members of the group told Fox News. The caravan left the northern city of San Pedro Sula earlier than expected. There was chatter on social media that the group would leave at 5 a.m. on Tuesday. It is unclear why the group left earlier, but rainy weather could have played a role. The scene was a familiar one: The group had a mix of people that included some mothers carrying their young children on their shoulders. It’s unclear where the group will rest, but past migrants have used the Honduran city of Quimistan, which is 35 miles from the bus stop, as an early checkpoint. As they walked, some migrants pleaded with local store owners to give them food or water for their journey, according to the Associated Press. One woman, who refused to give her name because of safety concerns, told the AP that her 9-year-old daughter had already been raped so badly she suffered medical problems. President Trump last week mentioned the new caravan and said, “we’re trying to break it up,” according to The New York Times.